Freddie White is in the INEC on August 15. 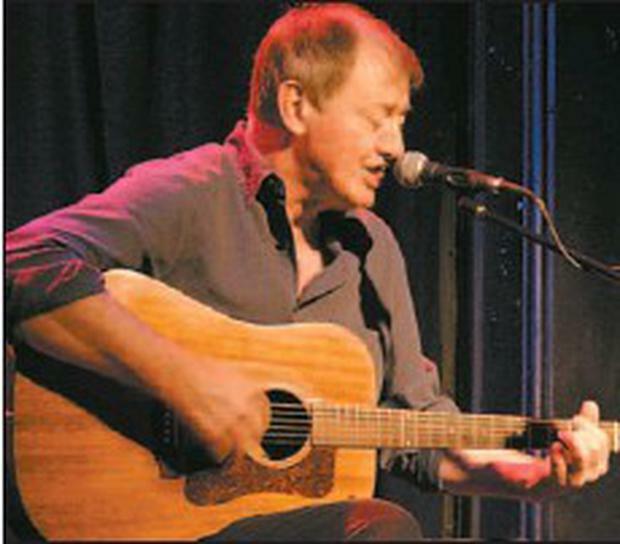 SINGER/SONGWRITER, Freddie White, will play the INEC Acoustic Club on Saturday, August 15. Whether interpreting songs by his favourite writers, such as Randy Newman, Tom Waits, John Hiatt and Guy Clark, or performing his own compositions, Freddie's live performances have been part of the fabric of the Irish music scene since the 1970's. Born in Cobh, Co. Cork into a musical family, by age thirteen Freddie was playing in school bands and by seventeen playing professionally. At nineteen, he moved to London, where he busked in subways, and developed his unique voice and guitar style. In 1974, he was a founding member of Scullion, together with Philip King and Sonny Condell. Later he formed The Fake, regarded as one of the seminal Irish bands of the late '70's. Next came The Freddie White Band formed in 1978, which toured with Eric Clapton that year. His first album, Live on Tour, recorded by Nicky Ryan while touring with Clannad, brought him national attention. His second album, Do You Do, was the biggest selling Mulligan Label album of 1981. With these early albums, Freddie introduced an eclectic repertoire of music, which spanned musical genres and eras, to an Irish audience. Later albums include 'Long Distance Runner', 'Close To You', 'My Country', 'Lost and Found' and his most recent album Four Days in May. Fergus Dennehy Siamsa Tíre was buzzing with creativity recently as pupils and teachers from four different schools around the county took part in the 'Bee Creative' showcase. Colours the new album from Dingle four piece Walking on Cars was released on Friday to critical acclaim. Sinead Kelleher They say practice makes perfect, and that is certainly the case for Blackwater singers who joined forces with Soprano Mary Culloty O'Sullivan and Killarney Ladies singing group 'Finding your Voice' to bring a wonderful night of entertainment to Blackwater Tavern.